As a member (you) of Playing Appreciated (PA), you agreed to play every game you won on SteamGifts within a periode of one (1) month. For PA to be able to track if you are actually playing the game, you agreed to have and keep a public profile at all times so PA can track your progress. Below PA describes the information PA stores about you. PA is NOT in any way affiliated or endorsed by Steam. 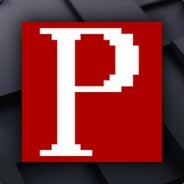 PA gets a list from Steam containing all group members. PA will add all available data of these members to PA's database and show certain information on the PA website. The stored data about your profile will be updated every twelve hours, so if you decide to change your avatar, nickname or privacy settings, these changes will be also reflected on this website. All this data will be stored in the database of PA and will be shown on various places on the website. At any given moment you may leave the Playing Appreciated group on Steam and also syncing this on SteamGifts. You will not win anymore games then, so nothing needs to be tracked anymore. We respect the privacy settings you have set on Steam. If you set your Steam Profile to private, Steam Game Details to private or Steam Playtimes to private we will also not show the stored historical data to the general public. Only moderators, the giveaway creator and yourself are then able to see this data when you login on this website. Within 24 hours of changing your privacy settings, this should also be reflected on this website. When you are not a member anymore, you may request PA to delete any historical data. Steam provides tools to delete a game from your Steam library or by changing your privacy settings, preventing data to become available again. PA's data comes from SteamGifts, Steam's Web API, SteamSpy and manually entered data. All this information comes "as is" and the disclaimer of that data also applies to the website of PA.
All data of PA will be stored and kept according to the law in The Netherlands. PA PROVIDES ALL DATA "AS IS," "WITH ALL FAULTS" AND "AS AVAILABLE," AND THE ENTIRE RISK AS TO SATISFACTORY QUALITY, PERFORMANCE, ACCURACY, AND EFFORT IS WITH YOU. TO THE MAXIMUM EXTENT PERMITTED BY APPLICABLE LAW, PA MAKES NO REPRESENTATIONS, WARRANTIES OR CONDITIONS, EXPRESS OR IMPLIED. PA EXPRESSLY DISCLAIM ANY AND ALL WARRANTIES OR CONDITIONS, EXPRESS, STATUTORY AND IMPLIED, INCLUDING WITHOUT LIMITATION (A) WARRANTIES OR CONDITIONS OF MERCHANTABILITY, FITNESS FOR A PARTICULAR PURPOSE, WORKMANLIKE EFFORT, ACCURACY, TITLE, QUIET ENJOYMENT, NO ENCUMBRANCES, NO LIENS AND NON-INFRINGEMENT, (B) WARRANTIES OR CONDITIONS ARISING THROUGH COURSE OF DEALING OR USAGE OF TRADE, AND (C) WARRANTIES OR CONDITIONS OF UNINTERRUPTED OR ERROR-FREE ACCESS OR USE. © PA 2019 - Last updated May 25, 2018.